Regular visits to your dentist not only helps to spot cavities, clean teeth, avail preventative treatments and seek out signs of gum disease, but also look for changes or abnormality in oral tissues. Yes, routine dental exams are vital for maintaining good oral health, and it’s also the best method for identifying oral cancer in its early stages. It is a shocking to note that oral cancer remains as one of the most debilitating and disfiguring of all malignancies. Early detection through cancer screenings significantly reduces the duration of treatment needed, and can salvage many, if not all, of the mouth functions. Your dentist can also help manage the oral complications that radiation and chemotherapy can cause. After a definitive diagnosis has been made and the cancer has been staged, the treatment begins. Your doctor will work with you to develop a personalized treatment plan tailored to your unique needs and diagnosis. Treatment modalities usually comprise of surgery, radiation or chemotherapy. Some patients have a combination of treatments. The Management of Oral Cancer is a multidisciplinary approach. One or more of the following therapies may be recommended to treat the cancer or help relieve symptoms. Surgery: Your surgeon will cut the entire tumor along with some healthy tissue that surrounds it to ensure that all the cancer cells are removed. A small tumor is usually removed through the mouth. For larger tumors that are harder to reach an incision may be made in the neck or jawbone. Radiation therapy: This therapy uses high-energy rays to kill cancer cells, shrink tumors and alleviate symptoms. Chemotherapy: This involves the use of anti-cancer drugs to kill the fast-growing cancer cells. 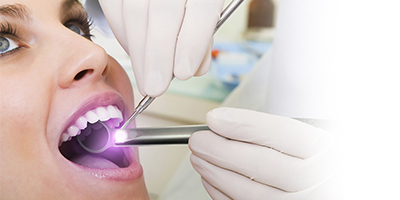 Rehabilitation and reconstruction services: Oral cancer and its treatment can cause oral complications. Speech pathologists help patients regain their ability to speak or swallow and dental experts help preserve oral health and function. Sometimes a plastic or reconstructive surgery may be needed to help restore appearance or regain the ability to speak or swallow. Surgery: Any type of surgical procedure has risks. Oral surgery complications are not expected to be life-threatening, but may include pain, infection, bleeding, blood clots, damage to nearby tissues and drug reactions. Radiation therapy: Soreness in the mouth or throat, dry mouth, trouble swallowing, change in taste, nausea, earaches, tooth decay, jaw stiffness, hair loss and swelling in the gums, throat or neck are some of the complications of Radiation therapy. Chemotherapy: Damage to healthy cells, drop in the blood cell levels, diarrhea, nausea and sickness, hair thinning, mouth ulcers and excessive fatigue and tiredness are the risks associated with Chemotherapy. Oral cancer, which can affect your mouth, lips, tongue, as well as other areas around your mouth and throat, can be cured when detected early. The chances of recovery from oral cancer depend on the stage of the cancer, where the tumor is in the oral cavity and whether the cancer has spread to the blood vessels. For patients who smoke, the chance of recovery is better if they stop smoking before beginning radiation therapy. Quitting smoking or chewing tobacco and moderate consumption of alcohol can prevent most oral cancers. Make sure to practice good oral hygiene and report any changes in your mouth to your dentist right away. Remember, oral cancer is a highly preventable disease and also very treatable, if caught early. Don’t wait for oral cancer symptoms to appear. Get screened regularly. Have an oral cancer screening by your dentist during your next regular visit!